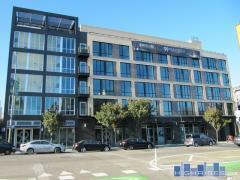 The Belmont is a serene condo community located close to the Caltrain, freeway, and airport. The building offers spacious floor plans, expansive bay views, and amenities including a billiards room, fitness center, pool, and top floor sky room. Have any comments or questions about The Belmont? Ask your question and/or share your thoughts about this Building.